The neurosecretory cells (NSC) of insects were first described more than 40 years ago as drüsenartige Nervenzellen in the pars intercerebralis of the honey bee Apis mellifera (Weyer, 1935). However, the study of insect neurosecretion progressed slowly during the years 1930–1950. 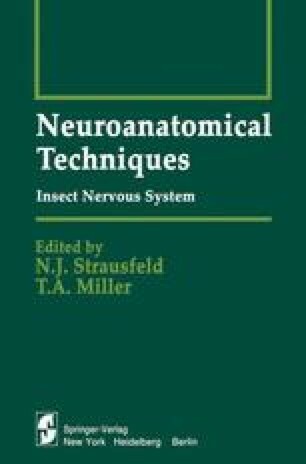 Only after the introduction of Gomori’s methods in the 1950s [first Gomori’s chrome hematoxylin by Bargmann (1949) and then paraldehyde-fuchsin by Gabe (1953, 1955)] was the study of the insect neurosecretory system (NSS) intensified. Extensive studies of this period, which were later summarized in Gabe’s (1966) monograph, led to the concept of the universal occurrence of the NSC in insect nervous systems and allowed the establishment of a generalized scheme of their distribution in the brain and, to a lesser extent, in the thoracic and abdominal ganglia.